The thermostat serves many functions beyond adjusting the temperature of your home. As any HVAC company serving Murfreesboro can confirm, thermostats play a big role in determining the comfort of your home and the amount you pay in energy bills. Continue reading to learn more about how thermostats differ and what they have to offer. Nearly all AC service specialists will recommend a digital programmable thermostat over a standard thermostat. This is because digital programmable thermostats allow the property owner to program multiple temperature settings based on the day and time. AC service experts recommend programming the thermostat to a lower temperature at night or when no one is home. This reduces HVAC unit use, which saves money on AC maintenance, AC repair, and energy bills. 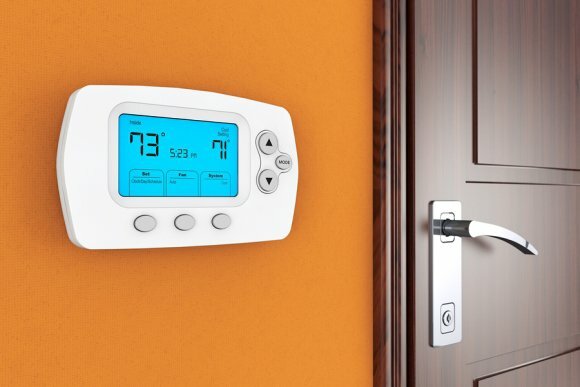 Call your HVAC company to find out if your HVAC system is compatible with a digital programmable thermostat so you can start saving money and energy. To avoid indoor air pollution and unnecessary air conditioner repair later on, leave duct installation to qualified professionals. Unfortunately, choosing an AC service specialist that offers duct installation near Murfreesboro is not always straightforward. Read this article to determine which factors are most important when choosing a contractor for your ductwork. Disreputable AC service specialists use a variety of shortcuts and dishonest methods to save money and time. Contractors who can provide a legitimate business license, proof of insurance, and references for their work are to be trusted. Any contractors who hesitate to provide any of the above may have something to hide, and are not worth your time. Check Google, Yelp, and Angie’s List to see how people review the contractors. Too many negative ratings are a red flag. With an occasional cleaning, your ducts should provide years of clean air and few problems, if any. 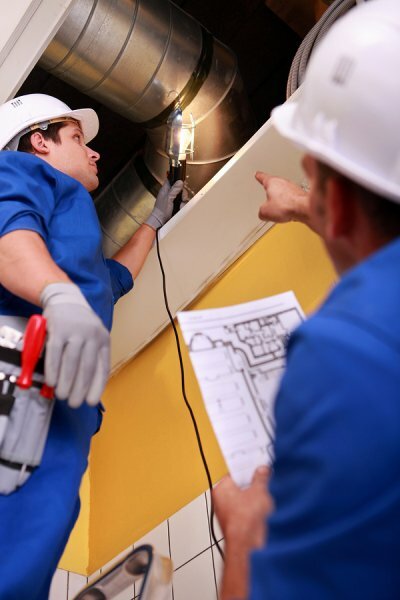 Look for an HVAC repair company that has years of experience in duct installation and duct cleaning so that you can rely on them for both services. After performing a walkthrough of the home, qualified contractors will know exactly which size ducts you need for your home, as well as how many vents and returns are needed. A properly sized duct system will provide consistent air flow and efficient performance. Conduct a basic assessment of the contractor’s skills before hiring him or her. Ask how long the person has been in business and how many residential and commercial properties the person has worked on in the past year. If any of your questions are met with hesitation or dismissal, find another contractor. Consider the contractor’s first few days at work as part of the interview—continually inspect the quality of the work to ensure it is up to par. Your HVAC units like your air conditioner and central heating near Murfreesboro can help you stay comfortable all year long. There are a few steps you can take, however, to extend their lifespans and remove some of the burden from these appliances. Watch this video for a few energy saving tips for your home. Aside from the weather itself, your HVAC units are not the only factors that influence the temperature inside your house as the seasons change. You can also use the sun to strategically warm your house throughout the winter. Pull your blinds up in the morning so that plenty of sunlight is allowed into the home; this will allow your heater to slightly relax and work more efficiently. Do the opposite in the summer. Keep your blinds down so that the sun cannot warm your home. It is also wise to keep your air conditioner in a shaded area. If you are unhappy with the efficiency of your heating and cooling appliances, consider taking a look at your ductwork in Murfreesboro. 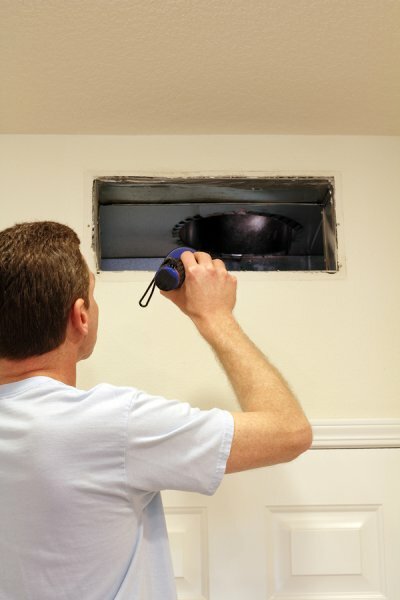 Duct cleaning may help to improve your indoor air quality, and thus your general well being. Ducts in certain homes can benefit from more frequent cleaning, and duct cleaning can help you make the most of your appliances as well. Here is a closer look at the answers to some of your questions about duct cleaning. How Can Duct Cleaning Affect My Health? When you forego duct cleaning you allow dirt, debris, and other contaminants to build up in your home. These contaminants are then circulated around your home every time you use your heating or cooling appliances, which can lead to poor indoor air quality. Indoor air quality is important, especially if anyone in your home has allergies, asthma, or other respiratory problems. Cleaning your ducts of debris can remove these contaminants and allow you to breathe clean, fresh air. Duct cleaning can also rid your home of mold, which is another contaminant that tends to have negative health effects on humans. The frequency with which you should have your ducts cleaned varies from home to home . If you have a large family or live with several roommates, you might want to have your air ducts cleaned more frequently. This is because increased foot traffic often leads to a greater number of contaminants in the home. Other homes that would benefit from more regular duct cleaning include those that contain pets or have gone through recent renovations. You might also want to have your ducts cleaned often if you allow smoking inside your home. Can Duct Cleaning Help My Appliances? Your heating and cooling appliances depend on your ductwork to circulate air throughout your home. Clean ducts work with your appliances, whereas dirty ducts may inhibit them. Dirty air ducts may circulate dust and debris towards your appliances, which can then experience a drop in efficiency. Clean ducts may help your appliances function as well as reduce your energy bills.